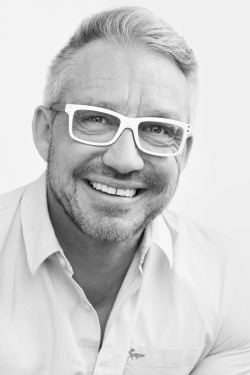 Professor Paul Dolan of the London School of Economics, recently launched a book called Happiness by Design which focuses on redesigning your life day-to-day and changing your environment to allow you the opportunity to be happier and do more of the things you find worthwhile. It sounded exactly up my street, so I took the opportunity to ask Paul to explain a little more about his understanding of happiness (and we how we feel/achieve more of it). 1. Can you briefly describe how you'd define 'being happy’? We use the term happy to capture feelings of pleasure (joy, contentment etc.) and the absence of pain (sadness, anger, worry etc.) 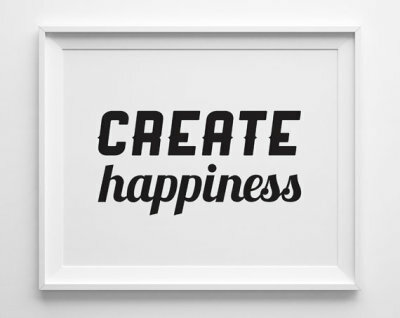 but ‘being happy’ should also include experiences of purpose and the absence of pointlessness and futility. Happy lives are those that contain a good balance of experiences of pleasure and purpose. 2. Why do you think so many people struggle to be (or feel) happy? There are many reasons why so many of us struggle with happiness. We often have mistaken desires, take the desire for success. We think it ought to make us happier and perhaps it will, but for some the journey to the summit may be miserable with lots of sacrifices of happiness along the way. We also make mistaken projections about where our attention will be directed in the future, which is often at odds with what we actually pay attention to. Finally, we have mistaken beliefs, which I’ll speak further about in response to question 4. We are what we attend to, it’s the glue that holds our life together. Changing behavior and enhancing happiness are as much about withdrawing attention from the negative as they are about attending to the positive. It’s also a scarce resource, when we attend to one thing, we are not attending to the another and it’s no coincidence that we use the term ‘pay attention’. Conscious attention, is only a part of how we feel and behave, we are largely driven by automatic and unconscious processes which means we are very poor witnesses to our behaviour. Put simply, we don’t know why we do what we do. The brain wants to conserve attentional energy and 'go with the flow’, but if you can change the defaults in your life that might be making you miserable, you can begin to create new habits. To do this, you need to think about ways you can re-design your environment and situations in ways for your unconscious to run free so you don’t have to think too hard about it. this mean that you think people can't (shouldn't?) strive to change? We make mistakes about who we are and how we would like to be that sometimes get in the way of us being happier. In general, we need to learn to accept much more about ourselves than we do. Nonacceptance is seen as an internalisation of feelings of shame, which then results in a range of other negative emotions that get in the way of behaviour change. Ignore the fact that you are a lousy cook and you’ll just keep your dinner guests away, wondering why nobody ever takes you up on your invitation for a home-cooked meal. Effective behaviour change can only really come about after you accept what you already do. 5. Do you have any tips for people who date a lot looking to find the 'right one’? We have ideologies about the ‘type’ of person we want to be with. Maybe they have a cool job, but we shouldn’t bother too much about such considerations because it’s the happy experiences you share with that person that really matter. We need to pay more attention to the feedback we get about how someone makes us feel and ditch crazy ideas of the ideal partner. Also, the more we focus our time and energy on finding ‘the right one’, the more pressure we create for ourselves to make it happen. So, if it doesn’t happen as soon as we would like, then this can lead to even more misery. 6. What about tips for people wanting to become fitter/healthier? If I want to find if you will go the gym tomorrow, I would ask whether you went yesterday and not whether you intend to go tomorrow. Past behaviours are good guides to future ones. In contrast, our intentions explain, at most, only about a quarter of the variation in changes in health behaviours, such as exercise, leaving three-quarters to be explained by factors associated with the specific contexts that trigger an action—such as whether you have a niceoutdoor area to exercise in or a gym at your office. We are creatures of our environment so we need to think about how we can design it to make it more likely for us to be healthier. Some examples and studies include eating from smaller plates or drinking from smaller containers. There are even some gyms that you pay when you don’t attend. People who walk past a takeaway on the way home will eat more unhealthily so try taking a different route home to avoid them. Making a commitment to go to a class or the gym with a friend makes it much more likely you will attend and once it becomes a habit or part of a routine, then you’ll be able to go with the flow and not even have to think about it.